The Soil and Health was published in 1945, just before agricultural corporations surged to global proportions. Sir Albert Howard's work is a major inspiration to the growing organic and sustainable farming movement and a thought-provoking reminder of a road not taken in developing mainstream agriculture during the past half-century. Robert Rodale dedicated the September,1948 issue of ORGANIC GARDENING as a memorial to Albert Howard .I made this note from that issue, "The purpose of this book is threefold:to record my own observations and reflections, which have accumulated during some forty-five years, on the occurance and prevention of disease, to establish the thesis that most disease can be traced to am impoverished soil, which leads to imperfectly synthesized protein in the green leaf and finally to the breakdown of those protective arrangements which Nature has designed for us." Howard's preface. Also from my notes, "The quality of our food and health decreases each year.In 1995the USA ranked 17th in life expectancy, in 10000 we ranked 24th.Countries are not ranked 17th in life expectancy on the internet at WHO Statistical Information System.Dr. Christopher Murray, MD,PhD of Who has this to say,"Basically you die earlier and spend more time sidabled if you are an American rather than a member of most other developed countries"
A God bless you to Wendell Barry for your introduction.I am still haunted by your UNSETTLING OF AMERICA;CULTURE AND AGRICULTURE which I read many years ago. As a long time reader of Wendell Berry, I have been fascinated to read this book that Berry claims to have influenced his thinking to such a great extent. Sir Albert Howard is a wonderful science writer, able to lucidly explain complicated biological processes and marshall all of his observations in the service of a coherent argument about our relationship to nature. I see deep truth in this book, and an approach to scientific thinking that never loses site of our unavoidable ignorance or our ultimately spiritual destiny. Jared Diamond and others have written about how civilizations have destroyed themselves by exploiting their soils. Sir Albert Howard said the same thing, but he said it 100 years ago. Howard was the father of the modern organic, holistic farming movement. This book is incredibly readable and will change how you think about food, soil, and the fate of civilization. The Soil and Health is a wonderful book that is equal parts agricultural science and environmental advocacy, with just a dash of kooky Nature worship thrown in.Howard was a conventionally trained agricultural scientist in the late 19th and early to mid 20th century who was employed by the British government to bring modern industrial agriculture, based on chemical fertilizers, pesticides, fungicides and herbicides to Britain's tropical colonies.Soon, though, he realized the value of more traditional agricultural practices from India and China, especially in keeping the microbial, fungal and invertebrate life in the soil healthy. 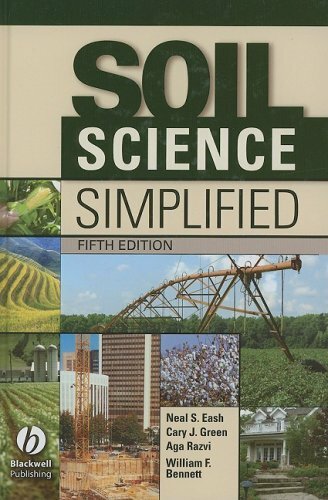 Soil Science Simplified, Fifth Edition is a significant update and revision of the classic introductory soils text. 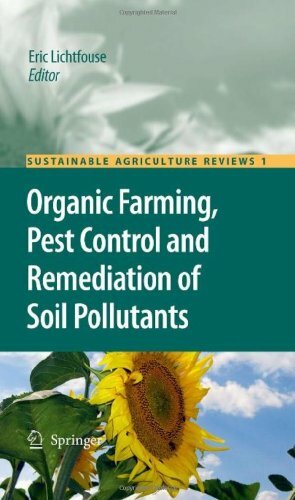 The new edition includes greater coverage of non-agricultural uses of soils ranging from municipal to engineering uses, as well as an expanded discussion of environmental uses of soils and soil conservation. 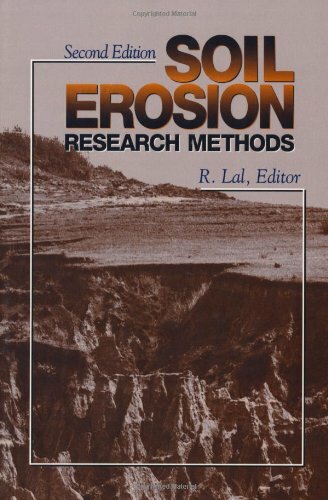 In addition, the chapters covering the basic scientific aspects of soil from its physical, chemical and biological properties to basic formation will be thorougly revised and updated. 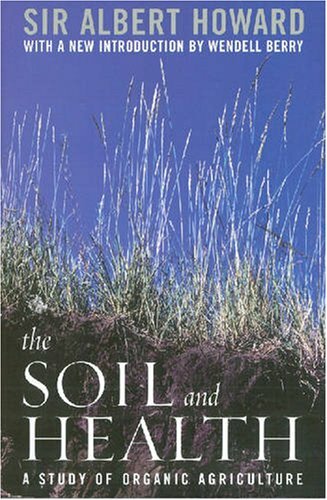 As a gardener who's been looking at online soil maps, I wanted to know a little more about soil and the meaning of some of these terms.Reading this book has been immensely helpful and generally enjoyable - I can understand it, and it makes sense.College chemistry being more than 20 years behind me, some things like clay chemical structure have been difficult to make sense of, and there's a lot of specialized vocabulary that's made the soil classification chapter unclear.But in general, I'm amazed that I can read this book without huge mental effort and chapter after chapter it continued to be understandable. The only complaint is that there are no photographs, and a good number of the illustrations provide no help or are less clear than they could be - I think some better illustations would help clarify clay chemical structure. I find this book to be very informative and the price is much more reasonable than most books chosen as textbooks for these types of classes. The information is brief and to the point, which may be a plus in some cases and may be a detriment in other cases, but that's what the instructor is for, filling in the blanks. Now in a newly updated and expanded fourth edition with additional topical material and the results of current research and trends, Soil Science Simplified is an excellent guide to the basic principles of soil science. 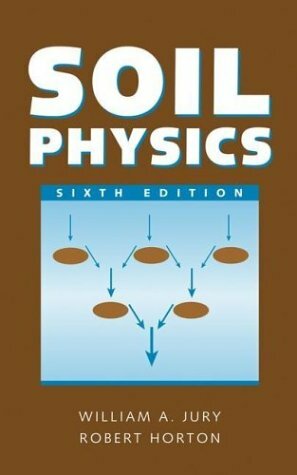 From soil physical properties, chemical equations, water, and fertility to soil conservation, surveys, and engineering, Soil Science Simplified is densely packed with so much information that it is eminently suitable as a high school or undergraduate soil science textbook. Black-and-white sketches and diagrams illustrate the scholarly, methodical, highly instructional text. Soil Science Simplified is strongly recommended for students and professionals in seeking to understand soil science principles -- especially engineers, environmentalists, landscape architects, as well as anyone with an interest or career in agriculture. 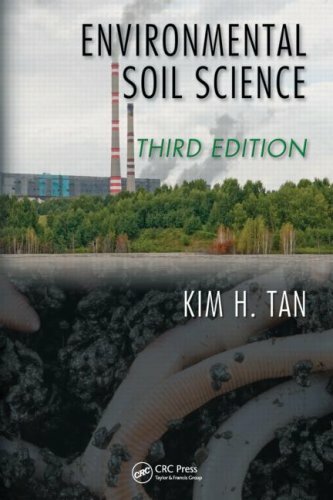 Completely revised and updated, incorporating almost a decade’s worth of developments in this field, Environmental Soil Science, Third Edition, explores the entire reach of the subject, beginning with soil properties and reactions and moving on to their relationship to environmental properties and reactions. Keeping the organization and writing style that made previous editions bestsellers, the author addresses the definitions of environmental science, ecology, and soil science, underscoring their combination into environmental soil science. 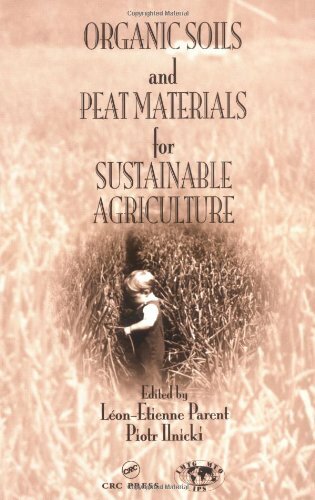 The book highlights the live biological constituents that make up the soil, exploring the changes made by agricultural operations and other human activities that lead to changes in the environment and our natural ecosystem. These include causes, effects, and solutions for acid rain, global warming, and destruction of the ozone layer. The author also provides extensive coverage of soilless agriculture, hydroponics, fish farming, vanishing biodiversity due to the destruction of jungles and the rain forest, and what to do about it. Growing ecological awareness has put the spotlight on all environmental disciplines, and environmental soil science is no exception. This has created broader interest in what has traditionally been a fundamental subject. This book tackles matters which must be urgently addressed due to the mounting evidence of climate change. 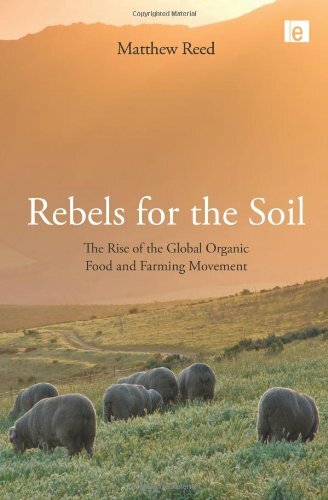 This book investigates the emergence of organic food and farming as a social movement. Using the tools of political sociology, it analyzes and explains how both people and ideas have shaped a movement that from its inception aimed to change global agriculture.Starting from the British Empire in the 1930s, where the first trans-national roots of organic farming took hold, through to the internet-mediated social protests against genetically modified crops at the end of the twentieth century, the author traces the rise to prominence of the movement.As well as providing a historical account, the book explains the movement's on-going role in fostering and organizing alternatives to the dominant intensive and industrial forms of agriculture, such as promoting local food produce and animal welfare. 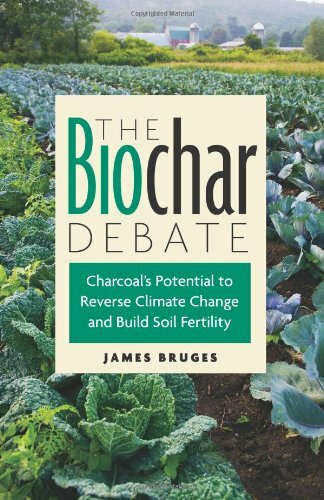 The Biochar Debate is the first book to introduce both the promise and concerns surrounding biochar (fine-grained charcoal used as a soil supplement) to nonspecialists. Charcoal making is an ancient technology. Recent discoveries suggest it may have a surprising role to play in combating global warming. This is because creating and burying biochar removes carbon dioxide from the atmosphere. Furthermore, adding biochar to soil can increase the yield of food crops and the ability of soil to retain moisture, reducing need for synthetic fertilizers and demands on scarce fresh-water supplies. While explaining the excitement of biochar proponents, Bruges also gives voice to critics who argue that opening biochar production and use to global carbon-credit trading schemes could have disastrous outcomes, especially for the world's poorest people. The solution, Bruges explains, is to promote biochar through an alternative approach called the Carbon Maintenance Fee that avoids the dangers. This would establish positive incentives for businesses, farmers, and individuals to responsibly adopt biochar without threatening poor communities with displacement by foreign investors seeking to profit through seizure of cheap land. The Biochar Debate covers the essential issues from experimental and scientific aspects of biochar in the context of global warming to fairness and efficiency in the global economy to negotiations for the future of the Kyoto Protocol. 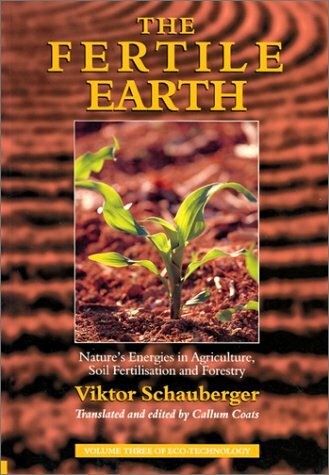 This is a fascinating book, about the process of using charcoal - Biochar - to build fertility in the soil and reverse climate change. I had heard some conversations about this in my organic gardening group and was very curious to read the book. There are many things that we can do to increase soil fertility, compost and rotate grazing so that the soil can be fertilized by animals. Using charcoal to fertilize turns out to be a very old method and very useful in areas of sparse conditions. The Biochar fund even developed a stove that can be used in countries where there is a shortage of firewood, such as desert areas of Africa. The stoves are very simply made, use less natural resources and have the added bonus of producing Biochar which can then be added to the soil to increase yields. If you are interested in Permaculture, organic gardening or climate change you will find this book has some great new information. Biochar as an answer to the climate problem is an extremely important subject.The author makes the subject interesting and easy for the layman to understand. What is this biochar of which you write? I'd never heard of biochar before I saw this book, so what a surprise to find out humans have been creating it for at least 2500 years! This slim book contains a lot of interesting information, and could give you something to talk and sound smart about at a dinner party - but I was a bit disappointed to get 100 pages of history, politics and science but no real practical information on how I could apply any of this in my own backyard. I think biochar is a very interesting substance, and this "brief" convinced me that I'd like to give it a try if I could get a hold of some charcoal that has already been ground up. Although many of the messages in the book were redundant (it could have been half the length it is), the point comes across that biochar is something that every farmer/gardener should consider before planting (if materials and workload is affordable). The author warns about potential industrialization of biochar (producing charcoal does, after all, require burning), but in some respects mass-producing charcoal specifically for farm usage seems like one of the only ways to really get enough people using it. That is basically the history (and popularity) of industrial fertilizers. Right now it seems as though the initiative is only being directed to farmers in developing nations; products such as cooking stoves that simultaneously produce charcoal are a good idea: I think something similar could be done for rural temperate areas with people who still heat their homes with wood. Not the best reference, this goes to the basics and stays more in the "theoretical" realm. Good reference, middle of the road in terms of required knowledge (not basic, but not reference only).A little light on some topics, but good overall. 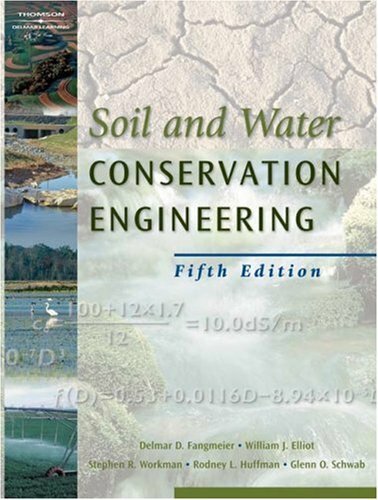 used this book for my water resources engineering class in college. Now, its in my reference shelve at work. Healthy soils are key to producing good harvests with minimal pest problems. How to create that balanced soil ecosystem, however, remains a challenge for even the most experienced growers. Building Soils for Better Crops unlocks the secret of maintaining a diverse ecosystem below ground to foster healthy crops above. 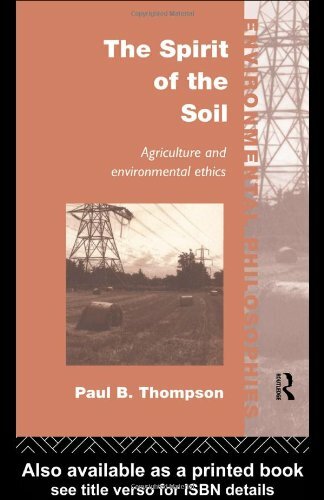 Ecological soil management, as detailed by the soil experts who wrote the book, can raise fertility and yields while reducing environmental impacts. 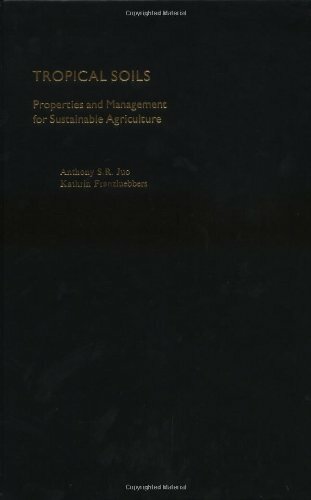 The 240-page Building Soils contains detailed information about soil structure and the management practices that affect soils, as well as practical information like how to interpret soil test results. This book is one of the most important books in my extensive collection. We are what we eat, and so are our plants. 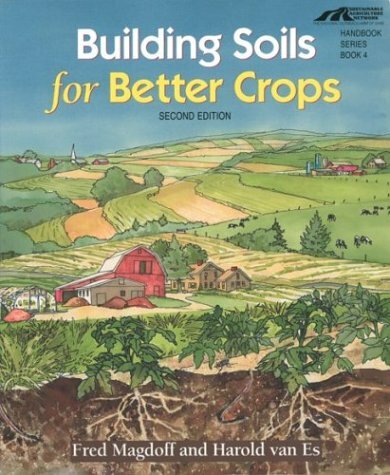 They need the correct balance of nutrients and soil consistency, and this book teaches you how to build that, the natural way. A very important guide! The revised edition of an environmental soil science classic, Soil Physics, Sixth Edition presents updated and expanded material on the latest developments in the industry, providing the best preparation for students and a state-of-the-art reference for professionals. This is a fairly turse coverage of soil physics that underly hydrology in both saturated and vadose zones.This is not the easiest read available, yet I and many at the U of M trust it as a good reference as we use hydrologic models.The presented theoretical framework extends to transport of chemicals that partition among liquid, gas, and sorbed states in which decay rates and mobility differ.Many books don't. With the info in his book, it would be a good deal at half the cost, but at $70+ its a bit over priced. good and I didn't pay more than $35 for them. My recommendation on this would be to get a look at it before you buy it. A great book on beginning growing. To get the full understanding about what Mr white is talking about the book Science in Agriculture I feel, should be read first. Great section,along with the pros and cons, of different types of irrigation. Seems to lean a little heavy on the soils of California. For the person not growing grapes but enjoys good wine it is an excellant sorce of how the wine gets its flavor. The principles presented will aid anyone growing almost anything. 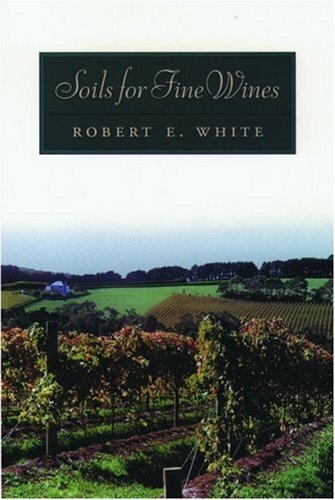 In "Soils for Fine Wines" Robert White sets to provide information needed for better understanding of how soils and their properties relate to management and wine-grape production. 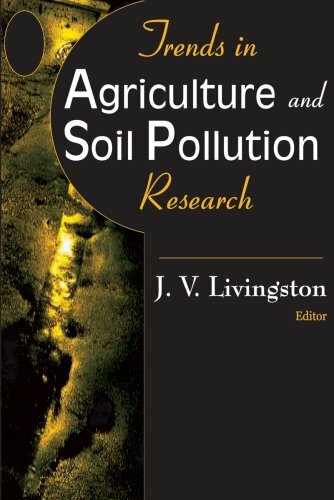 This book is a long-needed one indeed; most other viticultural books are discussing soil as an environmental factor only in passing. 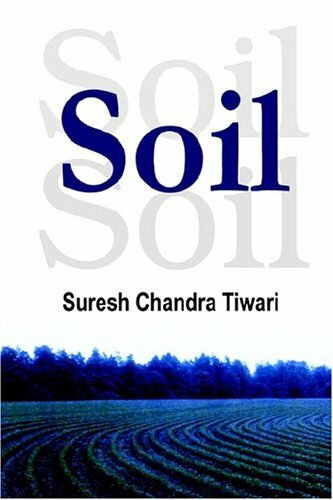 The book begins by explaining how the soil is formed and how it relates to the environment; how it changes with time and how it should be managed sustainably. Then it goes into a deeper analysis of the soil's makeup and structure, with a particular emphasis on understanding the vine root habitat. This is very important if a viticulturist is to understand effect of soil management practices on vine growth and production. Then the book details the supply of nutrients, explaining how these move into plant roots and what affects their availability. The reader is also given a brief introduction into precision viticulture and organic viticulture. The next section discusses soil, water and vine interrelationship, understanding of which is paramount for good irrigation management. 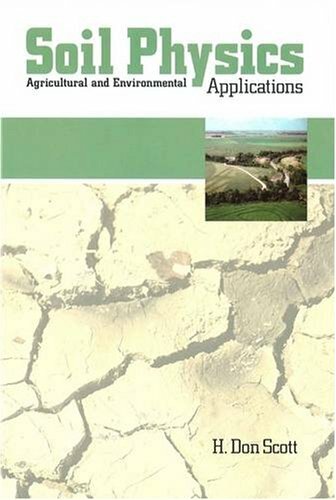 The book contains information on various aspects of soil quality (physical, chemical and biological). 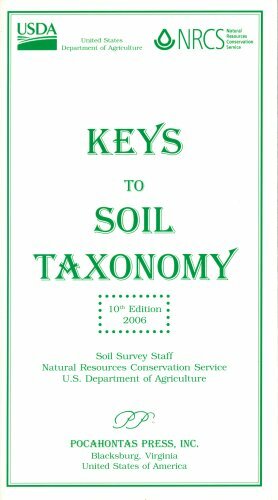 The book then deals with soil as an important attribute for site selection and vineyard establishment. The final chapter discusses soil as it relates to the quality of the final product - wine. Here the author gives a well-balanced overview of the current state of knowledge of what is known as 'terroir' and he takes the reader on a journey around the wine-producing world by providing regional examples of how the soil and wine attributes seem to be related. The book is well-written and easy to follow, although some might find it a bit technical at times. However, good explanation of technical terms is provided throughout and the book also has a number of illustrations and photographs that are helpful for easier understanding of the text. I can recommend this book to students and professionals in viticulture and wine science. It is a long-awaited text dedicated specifically to vineyard soils and the way they affect grapevines and management strategies. This book will also be of great interest to anyone who wishes to better understand the link between environmental conditions and wine. If you are a grape grower of any consequence, you know that good wine depends on good grapes, that good grapes depend on good vines and that good vines depend on roots that are DEEP and STRONG. Thus, the medium in which roots grow is of crucial importance. Viticulturists can be misled by reading that vines grow in all sorts of soils all over the world. That is certainly true but that simple dictum does not mean that any soil will do, as "any" soil will certainly not do. Robert White's book is VERY useful in helping understand what goes on below ground. If you just flip through it, it will strike you as too technical and thus daunting. However, if you will read each of the headings, (e.g., 5.1, 5.2) but not the sub-headings (e.g. 5.1.1, 5.1.2, 5.1.3) and then read his "Summary Points", you will be richly rewarded. If there points about which you want to know more or understand better, go back and delve into the sub-headings and be enlightened to your hearts content. I'm glad I own this book!